As expected since the details came out for SPG's next promotion that Marriott's newest offer would also come out on the same day! 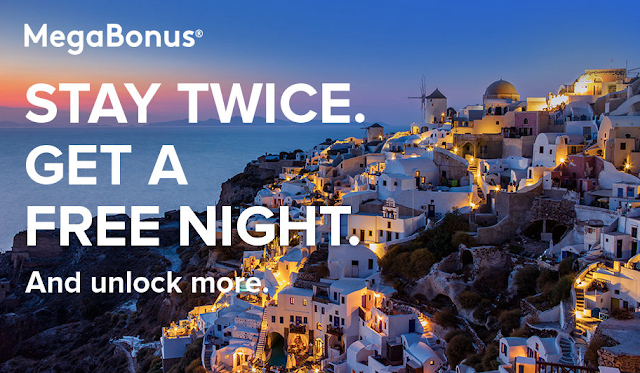 This version of MegaBonus sees the awarding of free night certificate to be used at Category 1-5 hotels when you complete two separate Marriott stays. Only one certificate can be earned but Marriott states that when you complete those two stays you can expect an additional offer to be sent your way 2-3 days after the completion of your 2nd stay. Find many more Marriott Rewards bonus offers here.